Vintage things are very fashionable; everybody is trying to add a vintage touch to his or her interior, space or things. 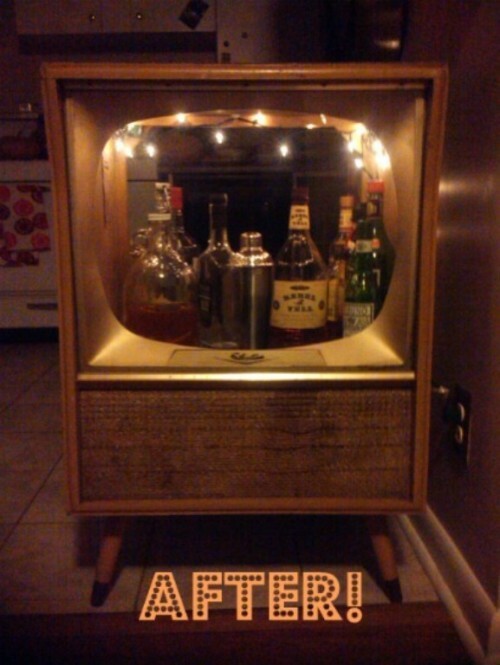 We present you a cool way to create an awesome vintage bar that you would see nowhere else. 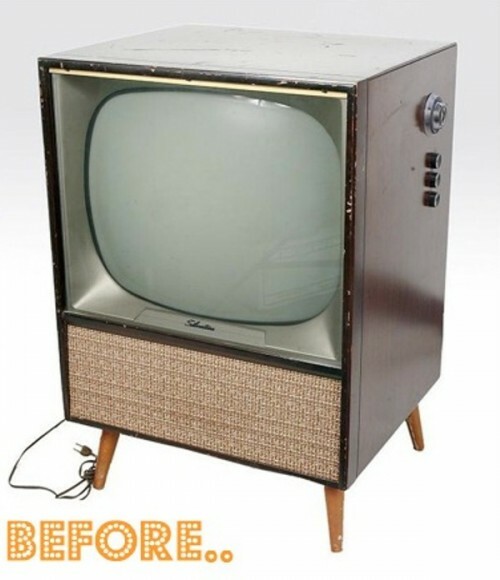 All you need is just an old TV, for example Silvertone TV, a garland or other lighting and some instruments. Take out all that is inside the TV set, be careful and don’t turn it on while gutting the insides. Then put a garland there. Now place your expensive alcohol inside and turn on the lights. You may also put a piece of glass there as a screen, for displaying. Enjoy!